Established in 1989, Little Heaton is a 25 bedroom residential care home which aims to provide the local elderly population with a safe and welcoming environment. All residents are provided with 24-hour personal care, where safety and well-being are of paramount importance. The home is registered with the local authority and is subject to frequent inspections and appraisals from the Care Quality Commission. 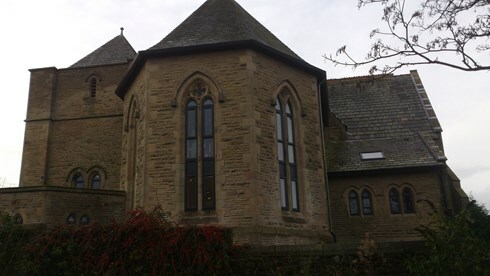 Newly converted from a Victorian church in 2014, Andrews Court Care Home is situated just over a mile from the Blackburn Town Centre. It aims to provide a high standard of living with 35 single occupancy rooms, all complete with en-suite washing and lavatory facilities. The care home promises to create a warm and homely environment for all residents, as well as providing hands-on care for those exhibiting signs of dementia and those in need of assistance with daily life. Built in 2010, Branch Court Care Home is a purpose-built establishment, situated just over a mile from the Blackburn Town Centre. It aims to provide a high standard of accommodation with 30 single occupancy rooms, all fitted with en-suite washing and lavatory facilities. The home provides a secure and relaxed environment with 24-hour personal care for those in need of assistance with daily life and those exhibiting symptoms of dementia. Located just moments away from the Atherton Town Centre, the Hamiltons Care Home was built to provide residents with a safe and welcoming environment, ensuring all needs are attended to on a daily basis. The home is registered with the local authority and is subject to frequent inspections and appraisals from the Care Quality Commission. Squirrels Children’s Day Nursery operates from a converted church building close to Middleton Square. The setting itself caters for children aged 6 weeks to 5 years old. The nursery aims to provide children with stimulating and creative opportunities where they can make new friends in a comfortable setting. Squirrels Children’s Day Nursery believes that every child should have the opportunity to realize their full potential and be valued as an individual. It caters for children aged between 6 weeks to 11 years old, all of which benefit from a focus on key early years learning and development specified by the EYFS. "From my very first telephone enquiry, the staff were superb, invited me to call and look around. Mum was their priority, her needs, interests and medical needs, money was not mentioned. Nothing is too much trouble for the management and staff." "I would definitely recommend Little Heaton, the care given is excellent. The staff really seem to care about the people in their charge and their individual needs. My mother loves it there and it is far better than any other residential homes I looked at when she came out of hospital. I can relax now, knowing that she is well cared for"
"My baby girl has attended Squirrels Nursery since she was 4 months old and has settled in really well. The nursery staff are lovely and friendly and I feel that she is happy whilst at the nursery. She has her own key person that she has made great attachments with. All her care needs are met on a daily basis and I receive regular information on her learning and development. All her interests are planned for and she is making good progress in all her learning"
"Squirrels provides a safe and secure environment for the children. The staff are friendly and welcoming. They carefully cater for my daughter's individual needs (dietary requirements) with such care."